Chitosan is a dietary fiber derived from crustaceans that can bind to fat and cholesterol in the digestive tract, helping to maintain cholesterol levels already within healthy range. 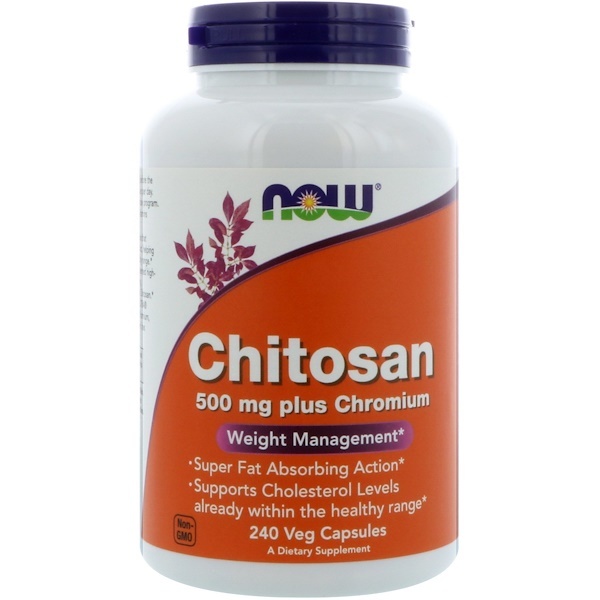 NOW Chitosan features LipoSan Ultra, a patented high-density form of Chitosin that, in laboratory testing, binds up to five times more fat than conventional Chitosan. 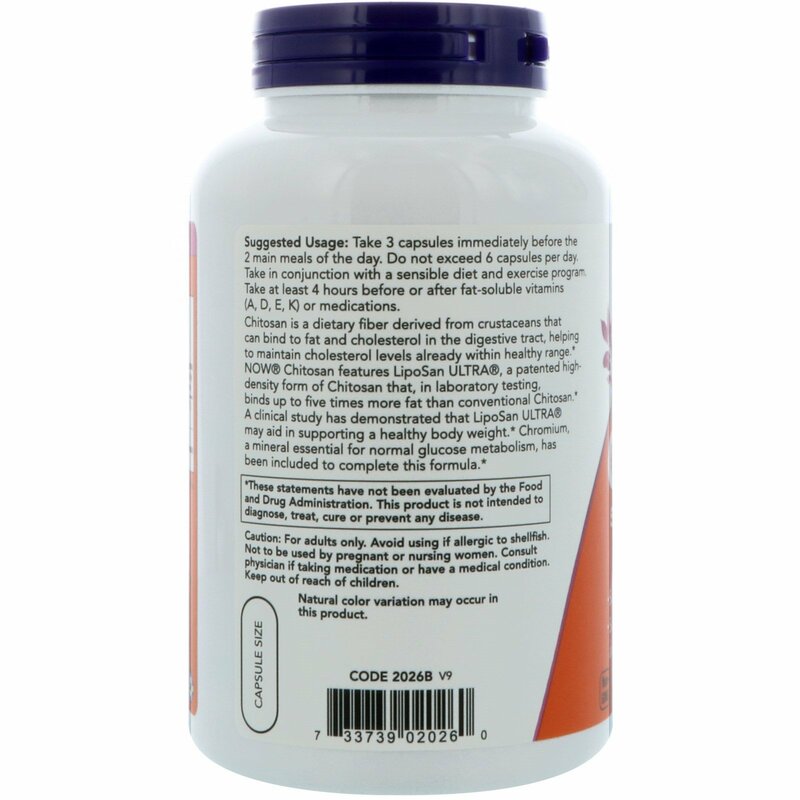 A clinical study has demonstrating that LipoSan Ultra may aid in supporting a healthy body weight. 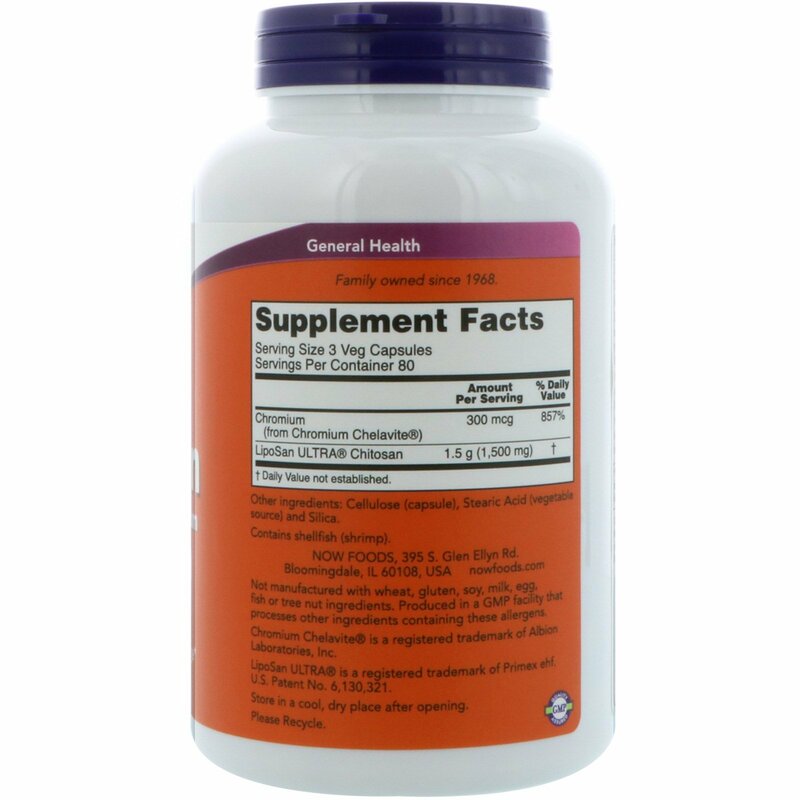 Chromium, a mineral essential for normal glucose metabolism, has been included to complete this formula.